On June 30, 2017, LAMOST released its third Data Release (DR3) to astronomers worldwide, which includes all spectra obtained during the pilot survey and the first three years' regular survey. Through LAMOST DR3, a total number of 5.75 million spectra were released to the international community, which included 4.66 million high-quality spectra with SNR ≥ 10. Besides, a catalogue which is provided stellar parameters of 3.17 million stars was also released internationally in this data set. DR3 has thus resulted in the largest public spectral set and stellar parameter catalogue in the world at present. According to the international practice, LAMOST DR3 is completely open to the world after the protection period. Anyone that is interested in using LAMOST DR3 can log on the website http://dr3.lamost.org/ to download this data set. Technical support is provided by Chinese Virtual Observatory (China-VO) . 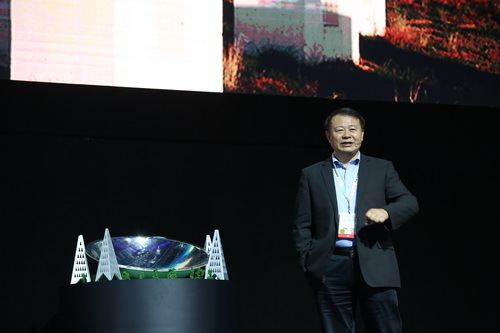 On 13 Oct., Yan Jun and Hu Xiaoming, as the director of National Astronomical Observatory of China and president of Aliyun Cloud Computing Co., Ltd. respectively, together announced the news of their strategic cooperation in the 2016 Computing Conference hold in Hangzhou. Both will take full advantage of the strength of the partners in their respective areas to carry out cooperation in interdisciplinary research and application to improve basic scientific research capabilities in astronomy and to extend the application of latest research results of cloud computing in advanced scientific fields. China-VO Paper Data Repository provides long-term storage and open access service for your paper data, which includes but not limited tables, figures, pictures, movies, source codes, models, software packages mentioned in your scientific papers. A permanent but user specified URL will be provided for each item. Furthermore, copyrights of these properties are still owned by yourself. Getting started with China-VO Paper Data, please click here. At the beginning of 2015, AstroCloud, the China-VO service portal was selected as one of "Top 10 e-Science applications" by Chinese Academy of Sciences. Since its release on May 15, 2015, AstroCloud has served 2 telescopes for proposal submission, 10 projects for data archiving and management. 300 users have been registered, and more than 100 virtual machine instances have been created. As the latest use case of "scientific data based astronomical education and public outreach" from China-VO, Chinese ancient constellation catalogue and figures are integrated into Worldwide Telescope (WWT), and released freely to the public. Related work was shown at the 225th AAS in Seattle in January 2015. The Astronomical Data Analysis Software and Systems (ADASS) conference provides a forum for scientists and programmers concerned with algorithms, software and software systems employed in the acquisition, reduction, analysis, and dissemination of astronomical data. The ADASS XXIV is underway in Calgary, Canada. China-VO has been contributing to the conference activity for several years. 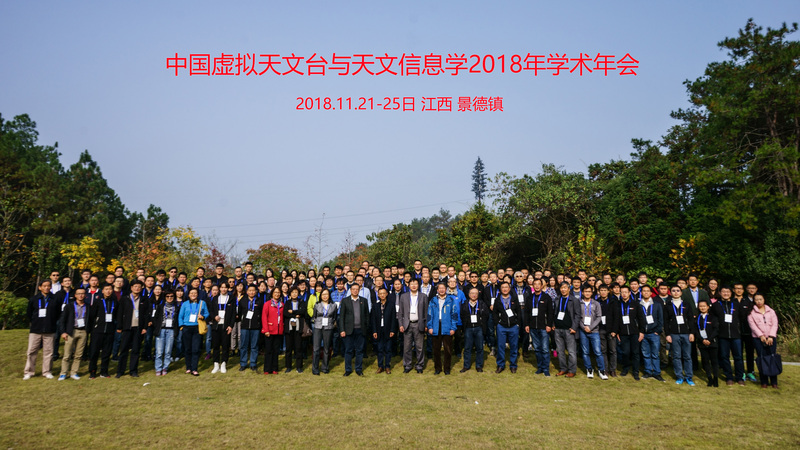 5 presentations from the China-VO team are submitted to the ADASS XXIV, including one oral presentation and 4 posters. These presentations focus on the recently released AstroCloud system. Backgrounds, architecture, data management, interoperability, cloud computing, current status of the AstroCloud are covered in these presentations. Program Organizing Committee (POC) shows strong interest in holding an ADASS conference in China in the future. Beta version of China-VO AstroCloud was released on May 15, 2014. Suggestions and comments are very welcome! The China-VO AstroCloud project was supported by NDRC (National Development and Reform commission) and CAS (Chinese Academy of Sciences). 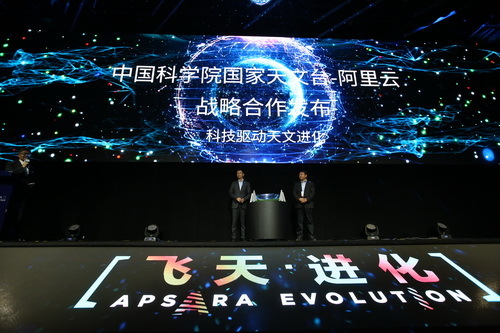 Based on VO and Cloud technologies, the China-VO AstroCloud hopes to be a full lifecycle data management platform and an astronomical resource planning environments for the community and telescopes in China. Tasks such as observation time application, proposal review, data archiving, data release and sharing, scientific discovery collection, will be (or demanded) done on the platform. The platform will provide astronomers proposal submission, data archiving, data access, limited data processing and data mining, and maybe more services.